A deep stretching and elongating pose, Padahastasana or Hand to Leg pose is a master forward bending exercise used in Sun Salutations or in hamstring opening series. The Sanskrit translations connote to ‘Pada’ meaning foot, ‘Hasta’ meaning hand, and ‘Asana’ meaning pose, which translates to ‘Hand to Leg Pose’ and is also referred to as ‘Hand Under the Leg Pose’ due to the positioning of the hand. Bestowing a myriad of benefits, this posture has been used since time immemorial by yogis, sages, and saints to achieve an agile body and a toned physique. The strengthening, stretching, and elongating motion used while practicing Padahastasana makes it an all-rounder and a favorite amongst the practitioners. Learn how to perform the pose in the safest way and know the various modifications and variations of the pose along with the Padahastasana benefits and steps with the contraindications. Step 1: Stand in an erect position with inner feet parallel to each other and inhale to lift the hands up in the air, with fingers pointing towards the ceiling. The knees caps are lifted and thigh muscles are contracted to create a sense of alertness in the body. Feet should be placed shoulder-width apart. If the practitioner is on an advanced level, he or she can keep the feet together as well. Step 2: Keeping the legs completely straight, the spine elongated and erect and without rounding the back, exhale and bend from the hip joint. Start to go forward in the pose. The forward motion should be created in a fashion that hands, head, and torso should look like a unit. Step 3: As your chin or nose touches the knee while the hands meet the toes, gently slide the fingers underneath the toes. Stay in the pose for a few breaths. Step 4: In order to come out of Padahastasana Yoga Pose, slide your hands back from under the feet and hold the waist, and while supporting the lower back, inhale and gently, lift up, back to a standing position. This age-old pose has been used in various forms and is called by many names with minor variations. Beginners can modify Padahastasana Yoga by bending the knees a little to allow a greater reach and place the hands on the floor in the forward bending action. That is to say that in step 1, instead of keeping the knees tight, the practitioner can slightly bend it. Apart from this, the practitioner can hold the shins initially or place the hand just on the toes in the beginning and gradually work their way further down in the pose. If you want to experience a deeper stretch in the pose, simply tilt forward while you are in Step 3 and bring the weight in the ball of the feet. The heels will lift up from the ground gently. The forward motion of the weight will make it a little difficult or advanced for the practitioner. The forward movement converts this pose into a semi-inverted pose which means that the head is placed lower than the heart. The body automatically starts to send extra blood to the face, removing stress, refreshing the mind, increasing facial glow, and reducing anxiety. Women in the premenopausal phase or even during the menopause should practice this pose to reduce the signs of irritation, aging, mood swings, anger, cravings, etc. One of the great and the primary reasons to perform Padahastasana Yoga Pose is to stretch and strengthen the hamstrings, tone the thigh, and activate the kneecaps. Increasing flexibility of the body, this pose creates a healthy stress on the calves, legs, ankles, etc. It is also a preparatory pose for many other poses like the Wide-Legged Seated Pose, Wide-Legged Standing Pose, Seated Forward Bend, etc. 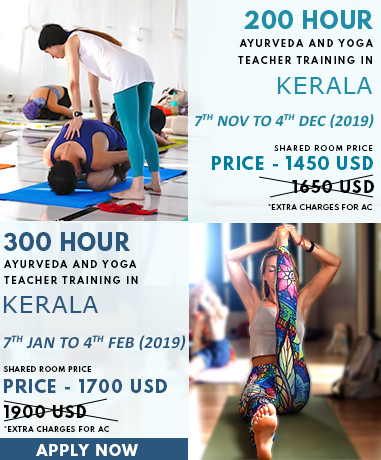 To know about Padahastasana in further detail, explore our Yoga Teacher Training In India.